The newly appointed Italian Ambassador to Sri Lanka, Rita Giuliana Mannella, the Ambassador for Republic of Italy in Sri Lanka was ushered by the Sri Lanka Business community at the Members Annual Fellowship 2018 held at the Hilton Colombo Residencies. The Members Annual Fellowship facilitated by the Sri Lanka Italy Business Council (SLITBC) of the Ceylon Chamber of Commerce enabled the Sri Lankan corporate executives to get to know the new ambassador and also share and exchange views for further development of trade between Sri Lanka and Italy. 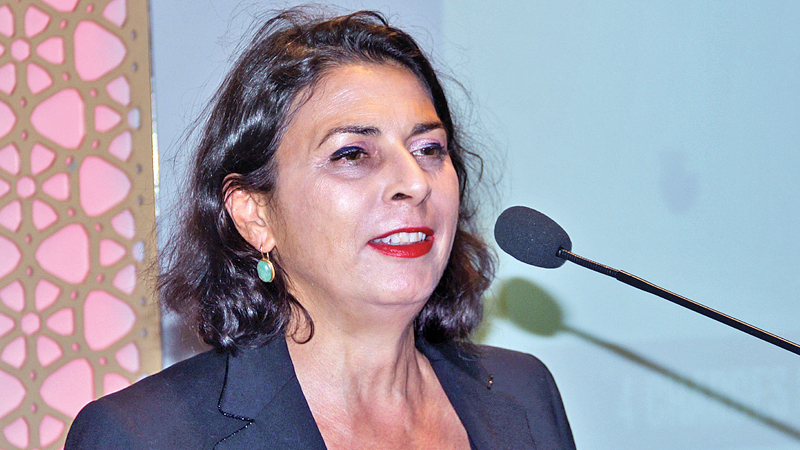 The newly appointed Italian Ambassador addressing a gathering of over 60 business corporates said that that she looks forward to working with the Sri Lankan business community in strengthening existing business and economic relationship with Sri Lanka as well as identifying new areas to work in. The Sri Lanka Italy Business Council operates under the aegis of the Ceylon Chamber of Commerce, promotes two-way trade between Sri Lanka and Italy in maintaining and fostering a harmonious business relationship between the two countries. Sonali Liyanamana, President of SLITBC introduced the new Italian Ambassador. Cherryl Rodrigo, Assistant Secretary-General represented the Ceylon Chamber of Commerce. After graduating in Law at the University of Pisa, Ambassador Rita Giuliana Mannella joined the Diplomatic service, working on multilateral economic issues, human rights, development cooperation and the fight against hunger. After serving in New Delhi as First Secretary (Commercial), she subsequently served in New York as Consul and then in Rome, at the Permanent Representation to the UN Rome based Agencies.